It’s easy to take clean, purified air for granted. Those who have grown up or lived a while in a home with a hard-working and efficient air purifier get used to breathing comfortably throughout time spent indoors. It can be hard then sometimes for someone not familiar with benefits of an air purifier just how much of a revelation they can be. 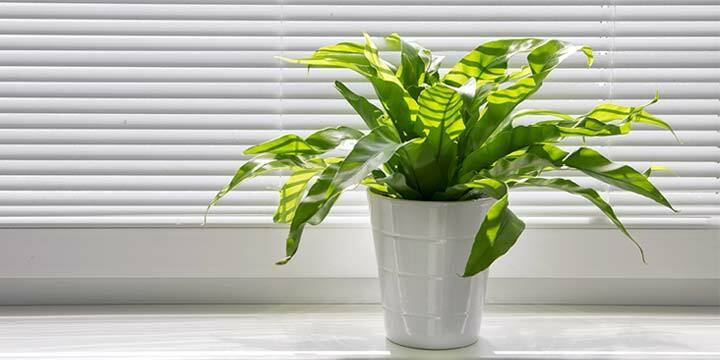 People with sensitive lungs or throats, allergy sufferers, older and adults and smaller children all stand to benefit most from having an air purifier in their home. Still, absolutely anyone can notice the marked difference and improvement in air quality, regardless if you suffer from asthma or chronic allergy issues. The key is to find a product that not only works effectively, but also will last for a long time. And of course that’s only part the process as well. An air purifier is going to become a piece of your home, an appliance that in order for it to function properly has to be in plain view, in an open area. You’ll want something nice to look at, something that fits in with the general visual aesthetic of your home. No one wants an eye-sore of an appliance in their house, regardless if it’s doing its job well. 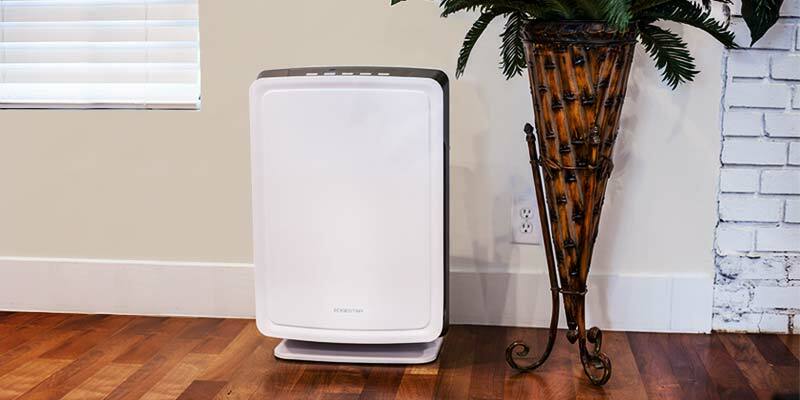 Lucky for anyone in the market for an air purifier, EdgeStar has a powerful, high-efficiency model that also looks great. The PUR700W uses a four-stage filtration system that contains a HEPA-grade filter. HEPA stands for high-efficiency particulate air and in order to gain this classification a filter must meet certain governmental Department of Energy standards. For instance, a HEPA filter must be able to remove 99.97% of particles of at least 0.3 micrometers. The HEPA-carbon filter is only one of three filters in a 4-part filtration system that this sleek and powerful air purifier utilizes. In addition to the complex filtration system this model sports, it also covers up to 750 sq ft if set to two air changes every hour. Or, if you have a smaller apartment or room and more severe allergies you can have the unit set to four air changes an hour at 375 sq ft.
Air changes per hour refers to the air change rare, sometimes listed as ac/h. It’s simply a measurement of how often air within a certain defined space is replaced. The fan settings on the unit itself can also be changed to low or medium settings, both which register very low decibel wise. Not only does this EdgeStar air purifier cover a relatively large area, but it also does so quietly. The EdgeStar PUR700W air purifier features an innovative four-stage filtration system. Going way beyond other types of air purifiers available to consumers, the combination of these four filters work to aggressively remove airborne toxins that may be affecting your health. The first part of the four-stage filtration system this model supports is considered a pre-filter. This washable pre-filter works to remove larger particles like dirt, dust mites, and pet hair and dander. Not only is getting these bigger, solid particulates good for your peace of mind (and allergies), but it also helps preserve the lifespan of the filters farther down. The three following filters are actually replaceable instead of simply washable. The second stage of the system contains a fibrous, anti-virus filter. This complex filter is used mainly in an effort to get rid of and prevent mold growth, and various bacteria and viruses. This antivirus filter is actually able to be replaced depending on your filtration needs. For instance, in place of the antivirus filter you could use the PureAir Silver Ion filter. This plays a similar role to antivirus filter included with the PUR700W; it not only helps eliminate harmful bacteria in the air, but also helps minimize the growth of other various microbes as well, such as viruses and various fungi. It basically destroys these microbes from the inside out, absorbing its various elements. It’s also possible to replace the included antivirus filter with a PureAir Anti-Bacterial filter. Made from tea polyphenols (natural plant compounds found which can be found in tea) this all-natural filter is especially environmentally friendly. It specializes in grabbing dust, mold, bacteria, spores, and the like. It also works to absorb and eliminate odors. This is ideal for those that have pets with long fur and heavy dander. Or, if you or someone you live with smokes, this can help to filter out that cigarette smell that tends to linger in the air. The third stage of the filtration process includes the HEPA-grade filter. This filter ends up trapping approximately 99.99% airborne particles as small as 0.3 micrometers. This includes bacteria, pet dander, dust particles, pollen, and many other sneeze-inducing allergens. 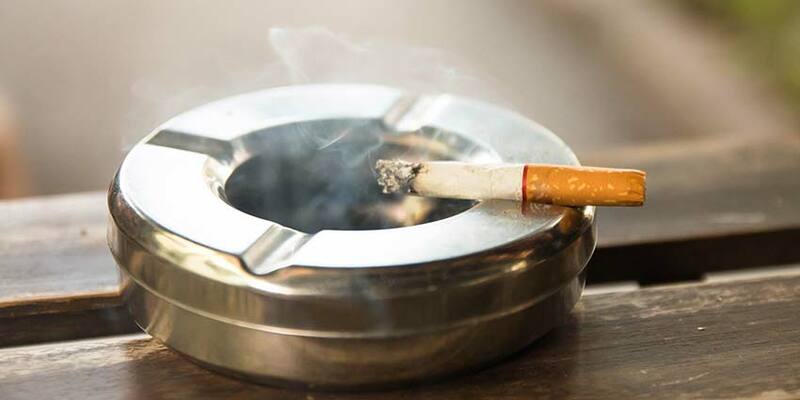 The fourth and final stage of this air purifier’s filtration system is a porous, carbon-activated filter that greatly reduces tobacco smoke, various odors, gases, airborne chemicals and fumes. It also helps cut down on volatile organic compounds (VOC’s). While a lot of VOCs aren’t immediately toxic, their effects can compound over time and cause long-term health issues. Formaldehyde and fossil fuels are both examples of VOCs. The last stage of this filtration system actually functions as a 2-in-1 with the previous HEPA filter. The filters being a part of each other makes changing them easier and cheaper. Instead of a special HEPA filter and extra carbon filter, they’re combined into, more or less, a single filter that operates as though it were two filters. While the four-stage filtration system is easily the most appealing reason to buy this air purifier, here are a few more benefits that make it standout amongst other air purifiers. This PureAir filter from EdgeStar has a few other features other than a robust and reliable air filtration system. This model, believe it or not, is completely ozone free. You see, it’s not uncommon for other air purifiers on the market to emit small amounts of ozone, which is not only frowned upon by the EPA, but may also be dangerous for you and your family. The EdgeStar PUR700W is ozone free, making it much safer for you, your family and friends, and your pets. An auto mode on this model will actually adjust air intake and output simply based on surrounding air quality. In addition, a three-light, air-quality system exists to help you gauge the air quality level in your home. 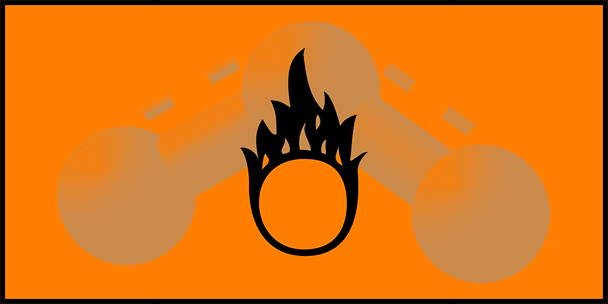 A red light will indicate a high level of contaminants, blue indicates a medium level, and green is for a low contaminant level. If you don’t want to use the auto mode, this model comes with a programmable timer, so you have a better control of when and for how long you want your purifier to be running. A remote control adds a level of ease to the operation of the PureAir. This EdgeStar model comes with an extended, 5-year warranty and actually has a filter replacement indicator to notify you when your filter needs replacement. It’s recommended that you change your filters sometime between every 6 to 12 months. However, your filter-change timetable all depends on how often you use your air filter and what the unit is actually filtering. The replacement indicator is especially important because it helps to ensure you’re getting the most use out of your individual filters. Whether you’re a pet owner who suffers from annoying allergies, a parent bringing home a little one with sensitive lungs, or just an apartment dweller readying yourself for the oncoming pollen and mold storm the change in seasons inevitably brings, the Edgestar PUR700W Air Purifier with its innovative 4-stage Filtration System is sure to make breathing easier around the homestead. went to edgestar website. NO MENTION OF PUR700W air filtration system, or ANY OTHER air filtration system. Could this be a brand new item – with their website not yet updated?